For years, the midsize pickup truck segment across the globe has been accented – and even dominated – by the power, dependability, and efficiency of smaller displacement turbo-diesel engines – except in North America. No more, both Chevrolet and Ford are finally meeting head-to-head in the mid-size diesel arena when the Chevrolet Colorado Duramax Diesel will meet the forthcoming release of the 2019 Ford Ranger Diesel. In anticipation of the revamped Ranger hitting the market next year, we’re cross-comparing the two diesels with the information available to us at this time. The diesel engine has been a staple of the truck world all over the world. While reserved for the big dogs of the truck arena in North America, the mid size truck segment burst wide open when GM introduced its turbo-diesel option in the little Chevy pickup in 2015. Piggybacking off the recent release of the 2nd generation Duramax 163-horsepower 2.5L, and 200-horsepower 2.8L Duramax (MY14) four-bangers introduced in Bangkok, Thailand, the North American variant features several new parts, including a new water cooled variable-geometry turbocharger, new high-pressure common-rail fuel delivery system, intake manifold, cylinder block, and engine control module – to name a few. From what we know of the to-be-released Ford diesel engine, Car and Driver Magazine has published it’s expecting the truck’s current 3.2-liter diesel offered outside the North American market – or some variant of the engine – will find its way into the new U.S. model, and that it should rival the fuel efficiency of the diesel-equipped Chevrolet Colorado and GMC Canyon. Ford’s EcoBoost 4-cylinder turbocharged engine and V6 are also expected to be offered in the all-new Ranger. Equipment World notes Ford has definitely taken notice of GM’s diesel success in North America, citing GM out-selling Ford in truck sales in 2015, thanks to the addition of both the Canyon and Colorado – selling nearly 115,000 in that year. The last time a Ranger rolled off the production line was in 2011, and when it was at the height of its prime, the Ranger sold 350,000 in that year alone. 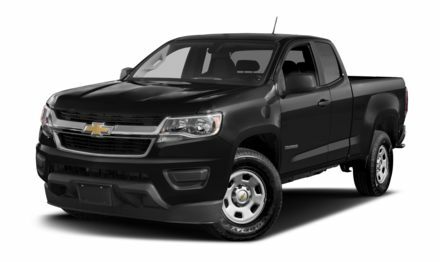 The Chevrolet Colorado Diesel offers a GM-exclusive Duramax 2.8L 43-cylinder turbo-diesel engine, offering best-in-class towing power and torque, rated at an impressive 7,700 pounds towing, 369 lb/ft of torque, and 181 horsepower. Further to power, the 2.8L diesel also boasts an impressive, best-in-class fuel efficiency rating of 7.9L/100km highway. The Colorado also come with available features like Multimatic Dynamic Suspension spool valve shocks, and segment-exclusive (for the time being) front and rear lockers. Fordtrend.com cites a 3.2-liter turbo diesel five-cylinder engine may be the standard diesel engine option in the 2019 Ranger, noting the engine is presently available in the global Ranger version. The same engine appears in the 2018 Ford Transit Cargo Van as a Power Stroke turbo diesel, producing 185 horsepower and 350 lb/ft of torque. The engine is also B20 biofuel-capable. In the much larger and presumably heavier Transit van, the engine develops fuel efficiency ratings of 16L/100km. If we’re comparing that engine as it sits today, the two diesels will be very closely matched, but fuel efficiency currently can be handed to the Colorado on a silver platter. No great rivalry is complete without a worthy adversary, and the GM family expects nothing less from the Blue Oval crew. 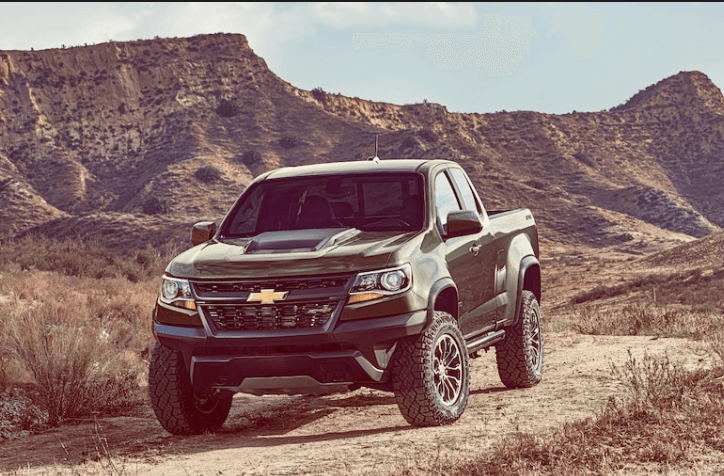 Whatever the end result of the upcoming Ranger release is, the Chevrolet Colorado can be accredited as the spark that finally ignited the mid-size diesel pickup segment in North America… even though there’s no spark plugs in a diesel engine… you get our point. We’re ready for you, Ford.